We’ve been sampling recipes over the past several weeks and found the Million Dollar Cocktail to be an instant favorite. Pineapple juice, grenadine, Vermouth, Gin and the white of one egg are poured into a glass, given a rigorous shake and then strained into a martini or coupe glass. The result is a cocktail with incredible balance of flavor, hints of tart sweetness coming through from the pineapple, the vermouth and grenadine smoothing over the edges of the gin. But what really sets this drink apart is the use of the egg white as a binder. 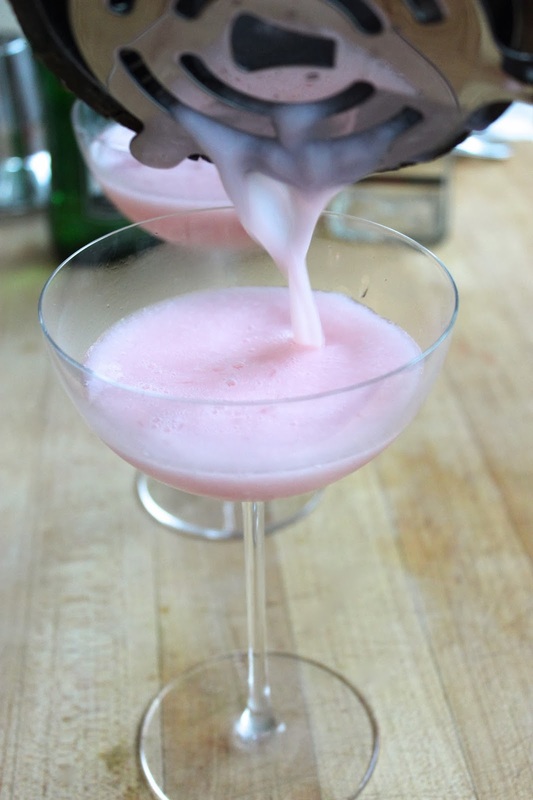 It creates a fantastic viscosity, the drink becoming creamy yet not heavy. We sipped, and then made a second batch. This cocktail was a keeper. An instant classic. 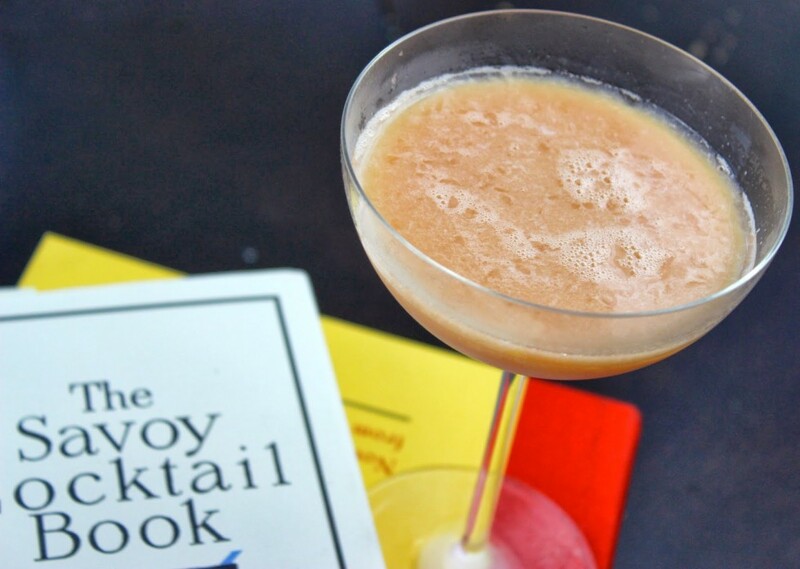 Just like The Savoy Cocktail Book has been for nearly 100 years. Now if the thought of using a raw egg white causes you to squirm, do not worry. There is nothing ‘egg-y’ about this drink and, as long as you use a fresh egg (find them at your local farmer’s market or at Rainbow Blossom) you will be in great shape. Place two glasses in the freezer to chill while you mix the drink – I recommend a martini or coupe glass but an old fashioned glass will do as well. Fill a cocktail shaker with ice and add three ounces (two shots) of gin, one and one half ounces of Italian Vermouth* (one shot), one tbs pineapple juice, one tsp grenadine and one egg white. Shake vigorously and strain into the chilled glasses. Share with friends. Cheers! *the original recipe calls for Italian Vermouth, which is sweeter than French Vermouth, generally. We’ve tested both varieties for this recipe and find them equally enjoyable.